My parents have a Pomeranian named Leo. 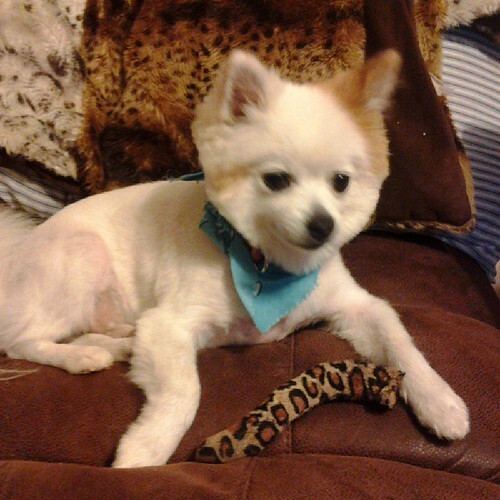 When I show my dad photos of Boo, the most adorable dog ever, he asked the pet groomers to give a "Boo" cut. It didn't quite work out, but he looked good. 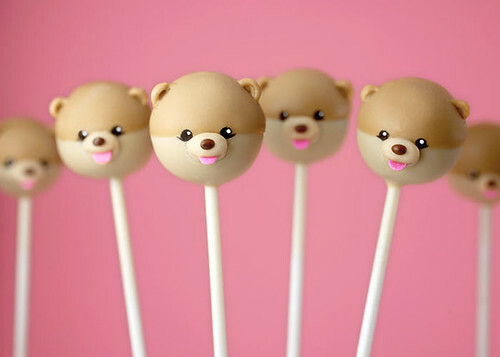 This morning I saw Bakerella's Boo cake pops and I had to post. Learn how to make them by clicking on Bakerella's post where you can also see Grumpy Cat cake pops. Here's a photo of Leo after his "Boo" cut. Super-cute dog & I love BAkerella and those are pops!